2. Enjoy Tongyeong by round shuttle bus departing from Busan! 4. Have some delicious street foods at Joongang Market, Tongyeong’s noted market! A small but beautiful and clean city where loved by artists, Tongyeong has a beautiful clean sea and interesting leisure sports. Since small islands famous for their quiet and peaceful beaches are surrounding Tongyeong, Tongyeong has been chosen as a great city to travel. The wonderful views of the sea and the mountains will sparkle your eyes, and cable cars and Luge will be a thrilling experience. 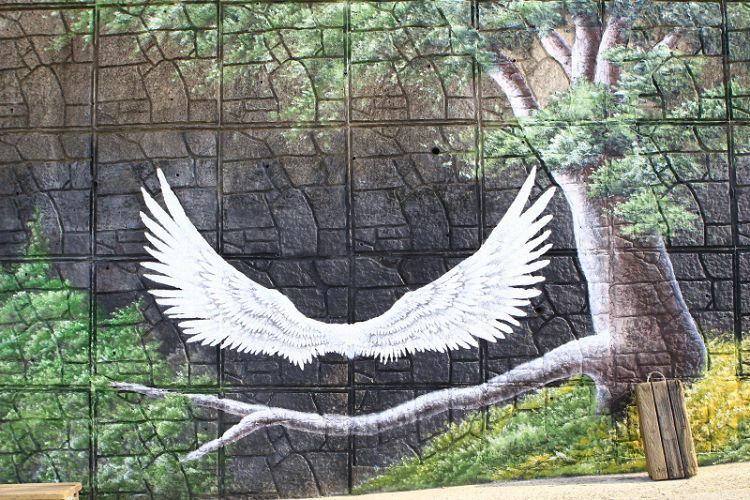 Tongyeong is a place where all of the experiences, photo spots, and sports are gathered! Cable Car installed on Mireuk Mountain, Tongyeong’s famous mountain, is the longest cable car in Korea. There are many people watching Mireuk Mountain scenery on the cable car without riding a luge! • Enjoy Mireuk Mountain scenery on the cable car! Luge, which is already famous for its thrilling activity, is a fun and special activity that rides a single seater car coming down Mireuk Mountain. • Enjoy running down from the top of the mountain! • There are curved sections and corner sections, so you can enjoy safely. Tongyeong Joongang Market is a representative traditional market filled with various kinds of seafood and delicious street foods. 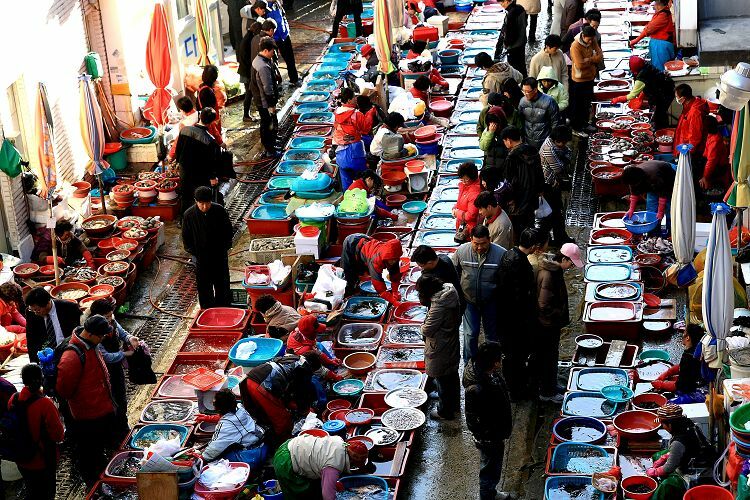 • Enjoy a vivid view of the Korean traditional market. • Full of delicious food! Dongpirang Village, meaning “East Cliff,” is a village on the hill behind the Joongang Market. Colorfully painted walls of the village, where you can look over the river along the winding alleys at a glance, capture your eyes. When you walk up the winding alleys, you will find an observatory where you can see the Tongyeong coast and feel the happiness! 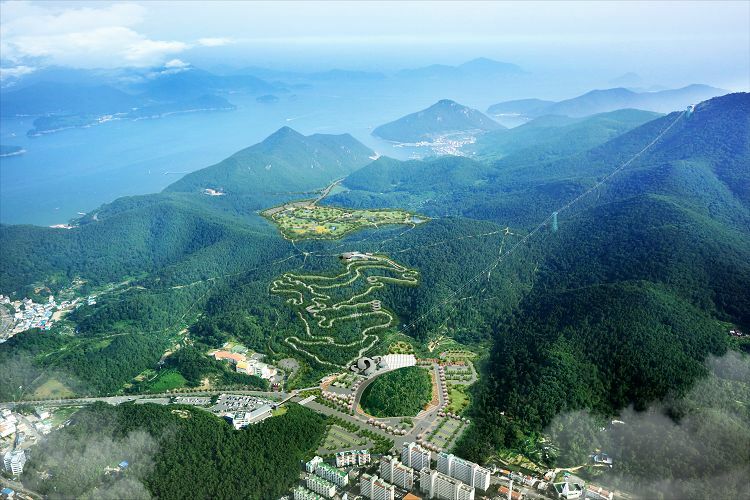 • Do not miss the view of Tongyeong coast from the observatory! 1. For Luge, only people over 110cm are allowed to board alone, and people between 85 ~ 110cm tall must be accompanied with their parents. 2. For Luge, children under 85cm and pregnant women are not allowed to board. 3. If you get only 1 or 2 rides after purchasing “Luge 3 Times Boarding Pass,” you will get a refund of 3,000 KRW per missed ride. 4. If the cable car or luge stops operating due to weather conditions, schedule may be replaced by courses, such as Tongyeong Joongang Market / Dongpirang Village / Yi, Sun-sin Park. 5. Depending on the traffic situation, the schedule may be delayed on weekends. 6. If your reservation cannot be made at a desired date and time, our CS Team will contact you via email.